G Pro vaporizer by Grenco Science continues to lead the way in the design of portable vaporizers with their high-end G Pro Vape. Built for experienced vape enthusiasts who demand the best from their dry herb vaporizers, the G Pro is truly one of the best ever made and includes features never found in older G Pens. After introducing one of most stylish and convenient vaporizer pens in the world, the engineers at Grenco Science set their sights on transforming the world of herbal vaporizers. After years of research and development, their masterpiece design, the G Pro was finally ready for release. 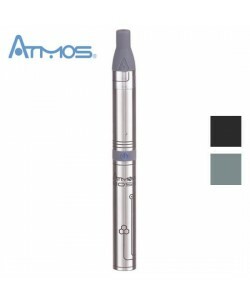 Today, this models is preferred by many vapor enthusiasts due to its impressive performance and economical price. With the G Pro Vaporizer, you can enjoy all of your favorite dry herbs the way that they were meant to be enjoyed. This very first convection vaporizer from Grenco Science provides complete vaporization without the need to shake or stir. Optimized to produce pure, flavorful vapor with very little wait time, the herbal pen brings out the taste and active compounds in any herbal blend to perfection. One of the features that sets the G Pro herbal vaporizer apart from its herbal vape pen predecessors is its adjustable temperature controls. With three temperature settings available, you can customize the heat intensity in order to get the best possible results from whatever you are vaping. Just hold down the activation button and watch for the colors to change. Red provides the lowest heat at 120 degrees Celsius or 320 degrees Fahrenheit. Choose Green for the medium heat setting at 193 degrees Celsius or 380 degrees Fahrenheit, or wait for the light to turn Blue for the high setting of 215 degrees Celsius or 420 degrees Fahrenheit. No matter which temperature option you choose, the heating chamber will preheat within 90 seconds due to its powerful heating element. When you're chosing a vaporizer pen for dry herbs, you want to make sure that the model you choose will keep your blends free of impurities that can compromise their taste. The G Pro Vaporizer is designed specifically for a pure, contaminant-free vapor. That's because it features a generously sized heating chamber crafted entirely out of stainless steel. The steel won't add toxic additives to your vapor, and it will resist corrosion to help this vape stand the test of time. Another feature found in the G Pro that wasn't found in previous GPen models is a smart filtration system. The filter helps to keep fine particulates out of your vapor for a clean, pleasing draw every time. You'll receive a total of five screens for the filter when you purchase this kit, and additional screen replacements can be purchased separately here at VaporPlants.com. Like the other similar models, the G Pro is very easy to operate. First, click the activation button five times to turn off the battery safety lock. Then, set the heat level and wait for the green light to illuminate, indicating that the chamber has reached your desired heat setting. Hold down the button and draw through the flexible rubber mouthpiece. After 3 minutes of vaping, this dry herb vape will turn off automatically, ensuring safe operation, preventing form overheating and helping the battery last for as long as possible. The G Pro Vaporizer features a high capacity 2600mAh lithium ion battery that can power the through 1 hour of continuous use or roughly 400 draws. With the kit, you'll receive a USB charger that you can use to recharge the G Pro with your computer or a USB hub. The LED indicator light will change from red to green when the battery is fully charged, and you can have your device ready for use with just 1 to 3 hours of charging. G Pro Vaporizer is made to fit easily in the palm of your hand for a comfortable feeling, featuring a compact design that is similar to an extra large vaporizer pen. The chamber is large enough to hold .6 grams of herbs. While the G Pro is certain to impress any experienced vaping enthusiast, the vape is equally ideal for beginners. The vape has a straightforward design and comes with everything you need, including replacement screens and a handy cleaning brush. The original G Pro Vaporizer featured on this page has a simple black design and is the least expensive option in the models. The discontinued G Pro Floral edition had a green flowered housing design with solid green accents, while the G Pro Snoop Dogg edition had a similar look but in blue and white. The DGK G Pro was designed with the help of the members of the G Life Skate Team and came with a matching camo print travel pouch. The Black Scale G Pro vape was designed with the help of street wear clothing brand Black Scale, featuring a perforated leather cover over its stainless steel housing and was sold with a designer storage tray for your vape and accessories. - Price - The GPen Pro costs around $99.95, which is a reasonable price for a dry herb vaporizer of its capacity. - Vapor Quality - This unit comes with a 360-degree heating ceramic oven that is ideal for heating up to .2 grams of finely ground herb at a time, making it ideal for single-use sessions. The unique heating chamber means you can heat up all of the herb evenly so that the vapor comes out consistent and smooth. - Guarantee - This unit comes with a one-year warranty. - Prep Time - It takes very little time for the Gpen Pro to heat up and is simple to load, keeping prep time to a minimum. - Portability - The G Pen Pro is very small and portable, able to easily fit into your pocket or your purse. It is lightweight and very discreet. - Ease of Use - Because it is geared toward first-time users, the G-Pen Pro is simple to use. It has an easy-to-understand interface that is simple to navigate, making it ideal for beginners and advanced users alike. This unit has a one-button interface. - Heating and Temperature Regulators - There are three preset temperature levels including Blue at 375 degrees Fahrenheit, Green at 400 degrees Fahrenheit, and Red which is at 475 degrees Fahrenheit. It has a ceramic oven large enough to heat up to .2 grams at a time. - Power Supply - The GPen Pro charges using a micro USB port that makes it ideal for charging just about anywhere. I'm sure my G Pro works fine. It's easy to operate and clean. The disappointment comes from my problem that I am new to, and a complete dummy at vaping. There were no instructions to speak of and I had a lot of questions that I could not find an answer to online. But I'm pleased with my purchase even though I'm still unsure of several things. Shopping was prompt. Discreet - Review by William J.
I love how discreet the G Pen Pro is. It looks luxury which gives me peace of mind about using it. High class - Review by Evan S.
The G Pen Pro vaporizer for dry herb definitely has a high class feel to it. Inconspicuousness - Review by Molly J. The G Pen Pro has a nice weight and does not feel cheap. It is pretty small which is great for inconspicuousness. Easy to use - Review by Randolph L.
The rubber cover of the mouthpiece on G Pen Pro makes it really easy to use. It is also simple to clean. 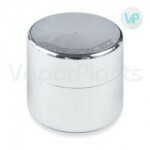 Portable vaporizer - Review by Carolyn F.
This is the most potable vaporizer I have ever used. Ready kit - Review by Robert A.
I love that it comes with a cleaning kit. I can pick between temperatures, which is nice. The mouthpieces also easy to remove. Nice heating chamber - Review by Jose G.
The heating chamber is on the top which is great for the airflow. It gives it enough of time to cool before it reaches my lips. Excellent vape - Review by Bryan A. The different temperature options are really excellent and help me figure out which way I want to vape with each new type of herb I use. Pretty good - Review by Weeds G.
The G Pen Pro is smooth and a really discreet way to vape when I want a quick puff. It is not messy or cheap. I love how smooth it hits and how tasty it is. The G Pen Pro vaporizer heats up really swiftly and does not burn my herb. I have to use only a little bit in order to vape. I was hesitant to use it at first because it is pretty pricey, but now I am glad that I took a chance on it. No one at all has noticed that this is a vape. Great temperature settings - Review by Floyd M.
The different temperature settings on the G Pen Pro really make it stand out for me. I love that I am able to choose between different ones because the quality of the herb I get at any time can vary from batch to batch. I like that there are replaceable mouthpieces to use as well and the way in which they contract and expand. It doesn't burn my lips and the vapor is smooth enough to where it does not burn my throat either. Overall the G Pen Pro is a really excellent vaporizer. A truly great vape - Review by Vernon P.
The G Pen Pro is my new favorite vape. I have to vape in a discreet way and because this is something that I can literally put in pocket, no one has known what's going on. Great clouds - Review by Larry D.
The vapor quality of the G Pen Pro is outstanding. This vape gives me great flavor but a minimal smell, which is something that is important for those who want total discretion just like I do. The different heat settings are awesome, and I can get really great clouds depending on the heat setting I have the G Pen Pro set to. I love its really discreet design. I needed something cheaper vaping dry herbs, and a friend of mine recommended this. Works well, great price, nice vapors. Recommend it! Very pleased - Review by Richard T.
I think that the G Pen Pro is the best portable vaporizer out there today. It is my first pen vape and it is doing really well for a portable unit. The different temperature settings are really nice. I also love how smooth the vapor is. The lightweight and sleek design is really nice, too, because it makes it so portable and unnoticeable; I am really able to slip underneath people's radars when I use this in public. The draw resistance is mid-range, which is nice, and the clouds are excellent. The chamber it is easy to clean thanks to the tools that they send with the vape. The battery life is okay and I like the auto shutoff that it has. Overall, I am very pleased with my purchase. Really sleek - Review by Shannon C.
This original G Pro is a really sleek unit that gives me great vapor wherever I go. The build is top notch and I never worry about it cracking or breaking. The mouthpiece also needs something like steel mesh instead of using a screen with nine holes; sometimes pieces of material will fly into my mouth. Otherwise, it is a really good buy. I recommend it - Review by Robert P.
I really like how quickly it takes me to charge up the batteries and that it comes with two. I can just put it on while I go about my day and after a few hours it is ready to go. The battery lasts for around five continuous vape sessions so that I am never without a good vape when I need it. I recommend the G Pen Pro to anyone who wants a consistent and solid vaping experience. Great on-the-go vape - Review by Frank A. The G Pen Pro is a really great on-the-go vape. It holds a good amount of material inside of it and lets me take it with me wherever I go due to that and the long-lasting batteries. .3 grams chamber - Review by Naomi M.
I love that the G Pen Pro can hold up to .3 grams every time I load it. This provides me with the ability to bring it with me anywhere I go without always needing to refill it. The battery is pretty great too. Gets a little bit warm - Review by Virginia M.
I adore the high level of taste and the low level of aroma that the G Pro original gives off. The mouthpiece does get a little bit warm after a while of use, but that is something that does not a make or break the deal for me. Great taste - Review by Weeds T.
I love the G Pro. The only negative thing I have to say about it is that the filter does get a little clogged sometimes. Other than that the G Pro is wonderful and has a really great taste. Nice and small - Review by Stephen S.
G Pen Pro is easy to change from one material to the other and cleaning it out is simple. The vape is nice and small and super discreet. I bring this little thing with me anywhere I go. Fast acting - Review by Minnie D.
Can't go wrong with the G Pen Pro. I like that there is a single temperature setting and that it lets you know the second that it is heated up. By the way, it only takes like a 15 seconds for it to heat, if that. Super easy to use - Review by Nicholas E.
The G Pro is super easy to use and doesn't have any additional frills on it. I can just load it up and go. There are no weird temperature or voltage settings; it just has one temperature that feels optimized for use. Very easy to use - Review by Christine T.
The G Pen Pro is built like a tank and I don't worry about dropping and breaking it. I love that it fits in my pocket so I can take it with me anywhere. It is very easy to use, too. Easy to hold - Review by Linda B.
I love that the G Pen Pro has a bit of a textured body, which makes it easy for me to hold when I hit it. The chamber is really easy to access and filling it is simple. Really sleek and stylish - Review by Jane P.
I was impressed with the G Pen Pro from the moment I unboxed it. This vape is really sleek and stylish, and I love the compact look of it. The packaging is nice, too. It hits like a dream. Large chamber - Review by Maria K.
Its a bit on a light side, but that is one thing I like about it. It feels firm and has a nice balance to it, you can see it is made with great parts. I use it weekly for 4 months now, no issues. At first it seemed a little weird but I kept with it and when I would take a draw off my vaporizer It would not be what I am used to. The more I use it the more I like It. Great overall experience! I had been doing a lot of research about vapor and upon realizing that convection was the way to go, I decided to give this product a try. I have to say that I am impressed with the pen. It won’t seem like you get any vapor but you truly are and no flame involved which is a major plus. I did knock off one star because the pen does get hot on the lips, after about 4 vapes. The battery doesn’t hold the greatest charge. There isn’t extra mouthpieces but hopefully that will change. The customer service is outstanding!! However, I still like the pen and I’m hoping GS can tweak the pen mouthpiece or make additional mouthpieces to fit this product. I’m very impressed with the G-pen and how easy it is to use! I would recommend this for any first time vaporizer person looking to switch! I recommend the G-pen! Fast processing and shipping - Review by Kimberly R.
The G Pen Pro is a huge improvement on a lot of the other pens from this brand in my opinion. It heats up super fast and the draws that I take from it are really smooth. It doesn’t require a lot of inhaling to get a good amount of smoke. I love the G Pen Pro - Review by Debra R.
It is a great pen that is really low in price compared to a lot of other ones. I love how slender it is and how small of a chamber it has. The size of the chamber makes it great for ensuring that it is not burning through my stash too quickly. It is also just the right size for packing in the right amount of material to take with me on a trip. G Pro is Great! - Review by Miles M.
I am enjoying the G Pen Pro a lot more than I anticipated. I got it quickly and the process of ordering it was simple to do. I only have one complaint about the G Pen Pro, and it is the fact that the mouthpiece does get a little bit too hot while I am using it. But, that only happens if I am using it for too long at a time, so it's understandable. Other than the hot mouthpiece, this vape is really out of this world. Worth every penny - Review by Angel J. The G Pen Pro functions in just the way that it was advertised. I think that it is worth every single penny I spent even though it was not very expensive at all. Truly a great value for what this vape can do. Use it anywhere - Review by Gary R.
The G Pen Pro is perfect as a solo-use device. The chamber is the perfect size or using by myself, but it is also a great size for sharing with one other person. The size is super discreet and slim so that I can use it virtually anywhere without anyone knowing what it is that I am doing. G Pro wins - Review by Rosa R.
The G Pen Pro works great and it heats up in no time at all. I didn't realize how much I would love this vape but now that I have it, I will never use another vape. I have tried a number of other vapes and this one wins out with flying colors. Discreet - Review by Mary H.
This unit is so discreet and easy to use in public. The vapor is great. I recommend it to everyone. Great size vaporizer - Review by John C.
The G Pen Pro is a great pen for using outdoors when you want to use something that is discreet. This pen is small and slender and, on top of that, it also produces really low levels of vapor so that it is even more discreet. I often take this with me outside when I want to vape but do not want to be noticed. The best vape - Review by Amy S.
The G Pen Pro is the best vape that I have ever used. The battery life is something exceptional and I have never used something that lasts as long as this one does. It is an exceptional pen that I would recommend to anyone. Feels really solid - Review by Scott S.
The GPen Pro feels really solid in my hands. It is the best vaporizer for dry herbs I have ever had. The G Pen vaporizer is smooth and sleek. It heats up really quickly and is able to last me a full day on a single charge if I am not constantly vaping on it. The price is a little more than what I had in mind to spend but it is seriously worth every penny. Small, but powerful - Review by Elvie F.
The G Pen Pro Vaporizer is definitely a super small vape and is easy for me to carry it around with me wherever I go. I am shocked at its small size and am impressed by how easy it is to use. I love that it is so small yet still manages to be so powerful. Stealthy size - Review by Almeda L.
The G Pro feels really well made in my hands. I like to tuck it away and vape it wherever I want to vape it, and I can do that because of its stealthy size. I get really good flavor as well. I am happy with my vape. I would recommend the GPro vaporizer to anyone. Worth every penny - Review by Joel D.
The G Pen Pro vaporizer is definitely worth the money. I have yet to own a dry herb vape that works this well. I was skeptical at first but once I understood the way convectional vaporizers work, I immediately fell in love with my G Pro. Amazing quality!!! Great anniversary present, and a healthier alternative to those who smoke. Discreet shipping and packaging with great customer service. A gift many people can enjoy at once, that is what I do with my husband! DGK G Pro Vaporizer is a very nice unit. All of the G Pros by Grenco Science are the same, only the design and accessories are slightly different. That is why I got the cheapest original G Pro vaporizer for herbs. It performs amazingly and does beyond what is needed for the price its sold for! So far looks like the best decision of last year. My boyfriend is a smoker, I was getting sick of him coughing all the time, and all of the smoke all of the time. Saw Black Scale by Grenco Science under $120 on this site, and decided why not just give it a try. Waited a full month before leaving a review. Now it has been a month and all I can say is that it has been a good decision to give this vaporizer to my boyfriend as a Christmas Gift. Happy and Loving it!!! Go GPro... - Review by Ashley P.
This is the first vaporizer I've purchased on my own and I'm very happy with it. All of the reviews about it are true and correct. Definitely better then what I have been using! Thanks to all of the guys at VaporPlants! Great Selection - Review by "Vaping God"
1st time I saw a page which has all of the G Pros by Grenco Science with all of the available accessories. I personally hate shopping using my phone, but this page made me rethink my online shopping habits and so I placed my very first order online using my phone, selecting what I already knew I wanted, G Pro Black Scale with some additional accessories, and checkout was painless. 1-2-3 Done. Product is awesome and so is its presentation on this page!!! Doesn't burn the herbs - Review by Kristen M.
Originally I did not like this vaporizer as there was not much of smoke, at least not as much smoke as I thought would come out. Later I found out vapor is not supposed to be clouds of smoke, since there is no combustion. With that said, the heating chamber is pretty big and does get hot enough to release vapors that contain what you want to extract. The weight and design is well executed, has a nice feel to it. I got the Snoop Dogg BUSH G pro vaporizer edition as I love green and Snoop Dogg is not bad as well, his new album is pretty good.